I’ve already written about how a bank refused to exchange $100 for me. Today, I was at notary’s office making out an ordinary power of attorney. The tired woman was typing my passport date into the computer when, suddenly, her eyes widened. “You probably mean the list of extremists. Rosfinmonitoring’s list and all that. What does it have to do with a power of attorney?” I asked. She did not issue me the power of attorney, ultimately. She said the program would not let her go any farther, and that all notaries used the same database. I asked her what I should do. How can an adult get by in life without notarizing contracts and major transactions? Here are my preliminary conclusions. I did time for a crime to which I did not confess. I was released from prison. Now, seemingly, I am a free man, a citizen and taxpayer. But I cannot open an ordinary account in a bank. I cannot ask a notary to notarize a transaction, agreement or deed. Theoretically, I will have problems finding a job due to the fact that it will be impossible for an employer to open a payroll account for me. What should we call this state of affairs? An incentive to recividism? Or an incentive to emigrate? P.S. When I asked both the bank and the notary to give me written explanations for their rejections, they claimed they were having technical difficulties with their systems. P.P.S. When I was in prison, I had no problems drawing up powers of attorney, and I had my own bank account. 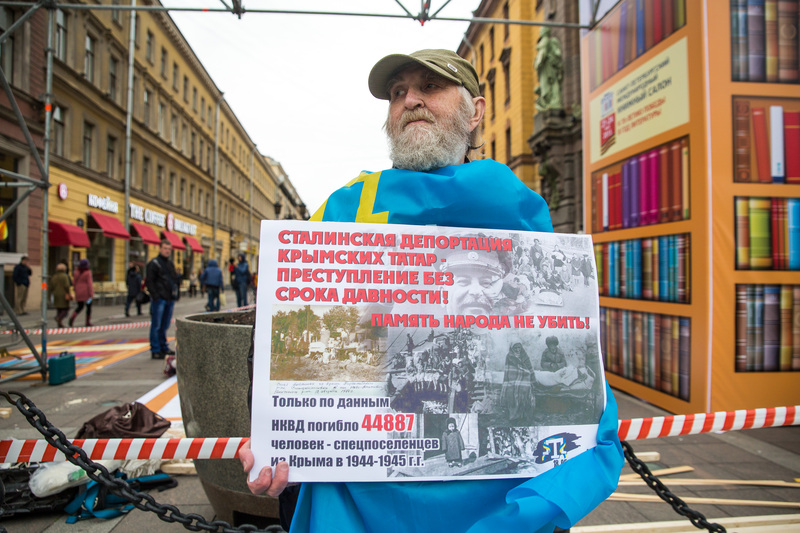 On May 19, Petersburg democracy activists commemorated the Soviet Stalinist government’s mass deportation of Crimean Tartars on May 18, 1944. Activists held a series of solo pickets on Nevsky Prospect before gathering for an evening event at Open Space, a co-working venue run by the organization St. Petersburg Election Observers. 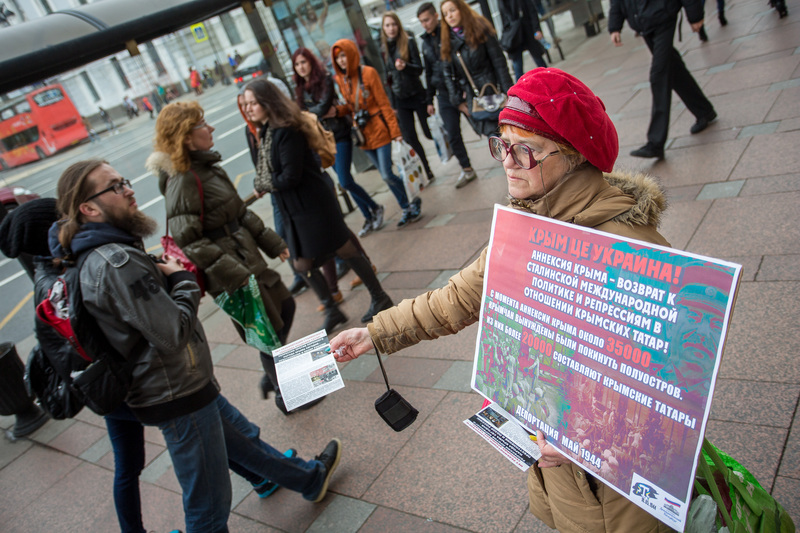 Several activists, including Vsevolod Nechayev, leader of the Democratic Petersburg coalition, Andrey Zyrkunov of the liberal-democratic party Yabloko, and Igor “Stepanych” Andreyev, a famous local activist, took to the city’s main street with placards calling on fellow citizens to remember the anniversary of the deportation and blaming the current Russian authorities for preventing commemorations in Crimea itself. Apparently inured to pickets and demonstrations of various kinds, passersby mostly exhibited indifference. A couple of young men attempted to harass the protesters, but most passersby merely glanced at the picketers before continuing on their way. In the evening, activists gathered at Open Space to continue their commemorations. Alexandra Krylenkova, leader of St. Petersburg Election Observers, is field coordinator of the Crimean Field Mission on Human Rights. 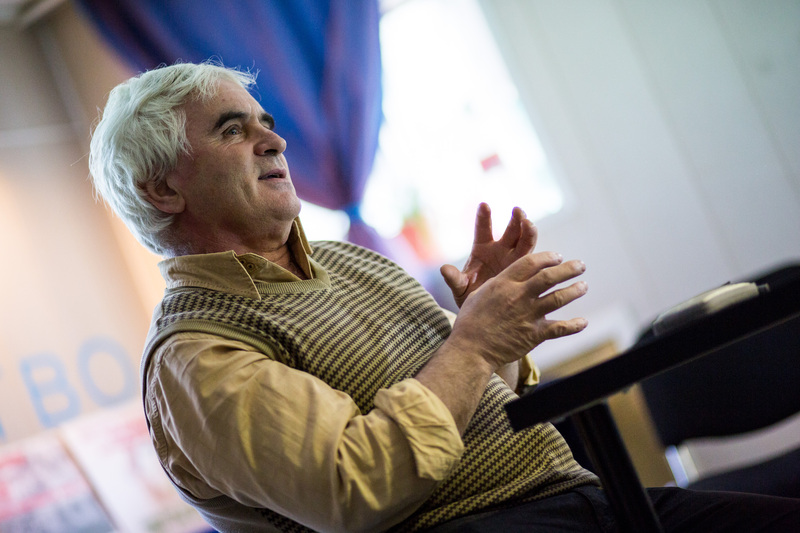 Activists viewed a documentary film about the deportation and chatted with Asan Mumdzhi, a member of the Crimean Tatar community in Petersburg. They also talked via Skype with Zair Smedlya, head of the Qurultay of the Crimean Tatar People. Smedlya described the current situation in the Crimea. Police arrest protesters en masse even at authorized protests and auto rallies, but generally the authorities refuse to grant permission to hold such events. “The same old story,” muttered someone in the audience. The current Crimean authorities have tried to turn the commemoration of the 1944 deportation into a celebration of the fact that President Putin signed a decree “rehabilitating” the Crimean Tatars on April 21 of this year. 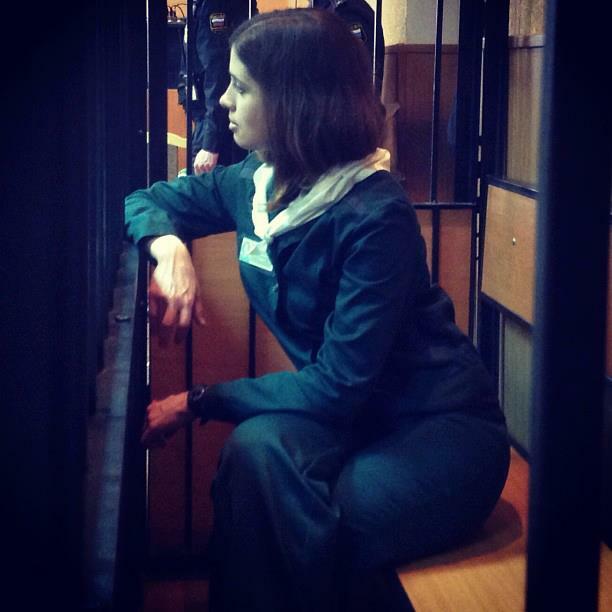 Mumdzhi compared this to Jews being “rehabilitated” by Germans. Smedlya also claimed that people had been arrested for carrying Ukrainian flags, which is not illegal. “Crimean policemen didn’t know the Ukrainian laws. 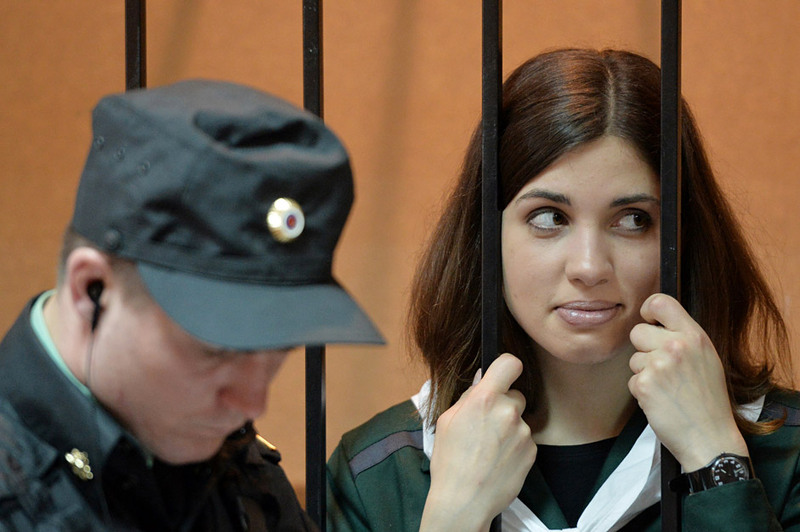 Now they do not know the Russian laws,” Smedlya quipped. The gathering ended with a screening of the Crimean Tatar-language film Haytarma, which tells the story of the highly decorated Soviet fighter pilot Amet-khan Sultan, who accidentally witnessed the deportation and managed to keep his family in Crimea. I want the people who have put me and dozens of other political activists behind bars to understand one simple thing: there are no insurmountable obstacles for a person whose values consist, first, in her principles and, second, in work and creativity based on these principles. If you strongly believe in something, this faith will help you survive and remain a human being anywhere.